Unsplash, the popular free photos site with no restrictions on image usage, recently unveiled a new set of features and tools for its users. To begin with, much like Facebook and other social networking sites, Unsplash too has a “like” feature now. This option, presented in the form of a heart, is what you can use to “like” or “heart” a photo on the site. On your profile page, you will be able to see all the images that you have ever “liked”. Furthermore, Unsplash now has a curated search option too, based on tags. You can enter keywords to search for the image of your choice. Thirdly, Unsplash has a new API that lets developers populate their projects, such as websites and applications, with images pulled directly from the Unsplash database. Thus, you can make use of Unsplash photos on your sites and apps without having to visit Unsplash or redirecting your users to their site. Unsplash now also lets you create your own collections and add photos to them. You can add photos to your collections and organize them, much as you would organize images in an album. Today, Unsplash’s community is 40,000 photographers large, and their photos are viewed more than 600 million times every month. The Unsplash diaspora is even bigger. With the new features and options, Unsplash is expecting a further surge in its popularity, especially because half of these functions are modelled towards giving Unsplash a mini-social network look. Read more about the new changes at Unsplash here. 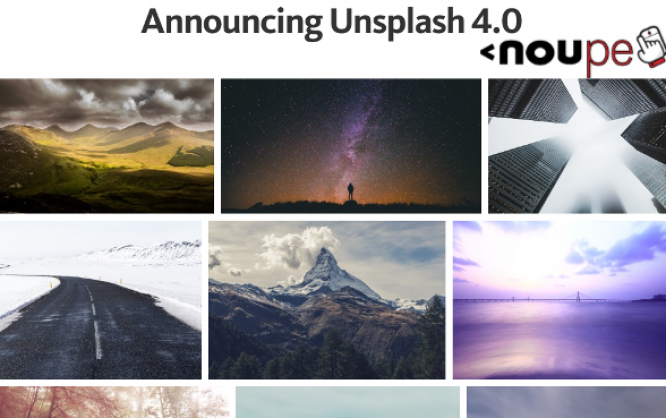 If you are a regular visitor of Unsplash, what do you think of these new features? Share your views in the comments below. I love Unsplash so much I think I might spend all day liking [ or hearting?] their images, top stuff!